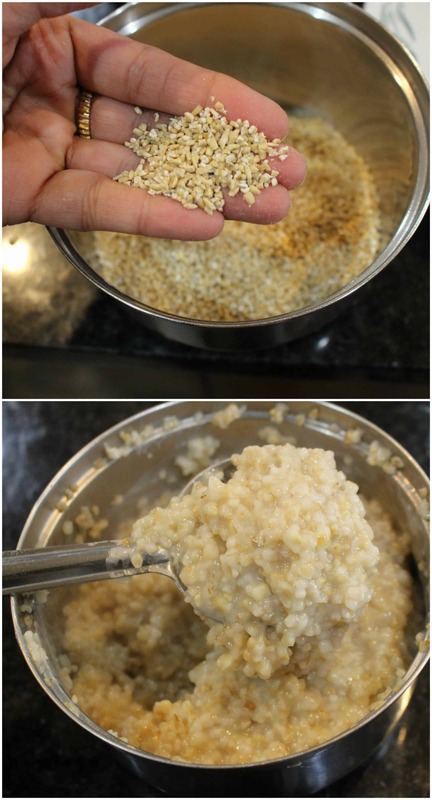 Steel Cut Oats is one of my favorite and I use it in every possible way. I was one of those people who hated oats until I started using Steel Cut Oatmeal. 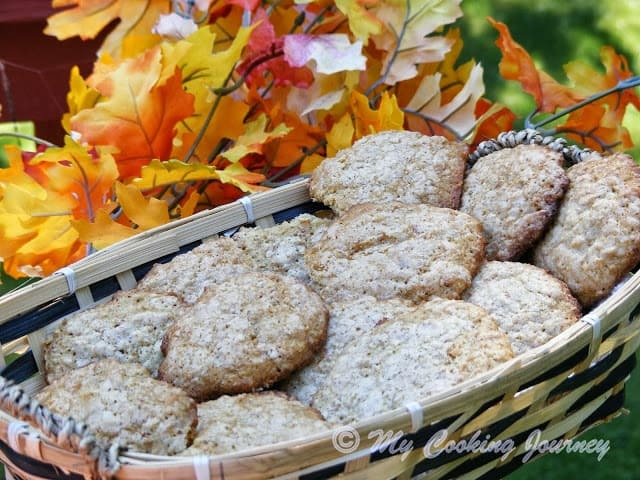 I absolutely love the texture of the steel cut oatmeal and if bought certified gluten free, this could work great for people looking for a gluten free grain. 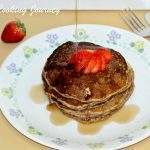 In the past, I have used Steel cut oats in many savory recipes and wanted to try a dessert with it. Hence, made a Vegan dessert – Oatmeal Payasam | Steel Cut Oats and Coconut Milk Kheer recipe for alphabet ‘O’. One of my favorite ways to eat steel cut oats is this Thayir Oats | Oats Bagalabhath | Spicy Yogurt Oats. I can eat if for lunch, dinner or breakfast. 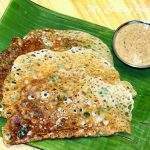 I have to mention that the other day I added some of my spicy Vathal Kuzhambu in the Thayir Oats and had it for breakfast and it was the best ever. Coconut milk is something I love using for my payasam / kheer / pudding. 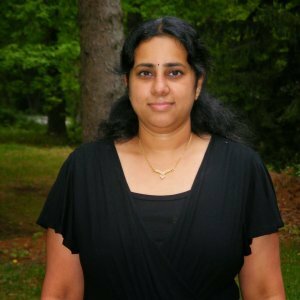 It all started when I was looking for a way to make my Jevvarasi / Sago kheer without curdling. That is when I used coconut milk instead of regular milk and the flavor of just amazing. Ever since then, any payasam/kheer with jaggery, I use coconut milk instead of regular milk. Also, this is the first time I have used coconut oil in my dessert. 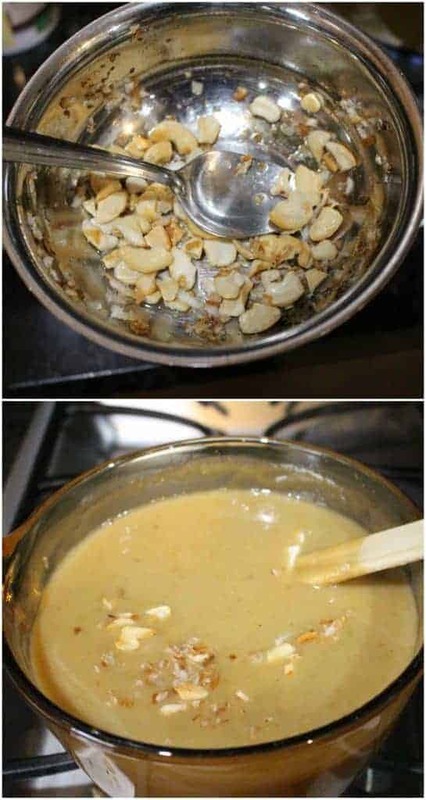 I always use ghee to roast nuts when adding to a dessert, but this time I wanted to keep it true vegan and hence used coconut oil to roast my nuts. I could not find any difference in the flavor of the kheer because of the addition of coconut oil. One thing that I can say is that it increased the flavor of the coconut a bit more, which I sort of enjoyed. If you are someone suffering from Celiac disease or gluten intolerance, make sure you buy the oats that is certified gluten free. The problem with general oats is that they are grown right next to wheat farm and hence chances of cross contamination is high. If they are certified gluten free, then it means that they are grown completely in a safe environment, free from any contamination. 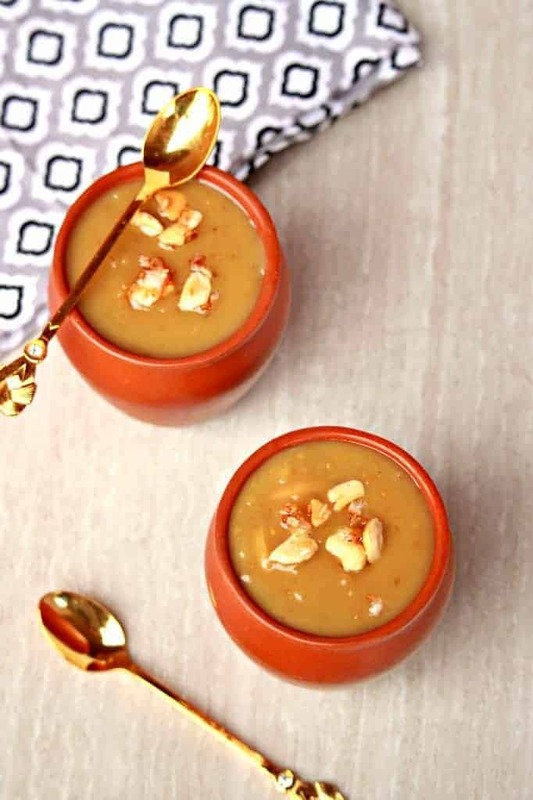 Use good quality jaggery / palm sugar to make the payasam for the best flavor. 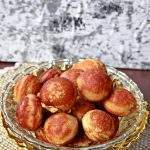 Palm jaggery has a very earthy flavor that is something that I enjoy in my desserts. 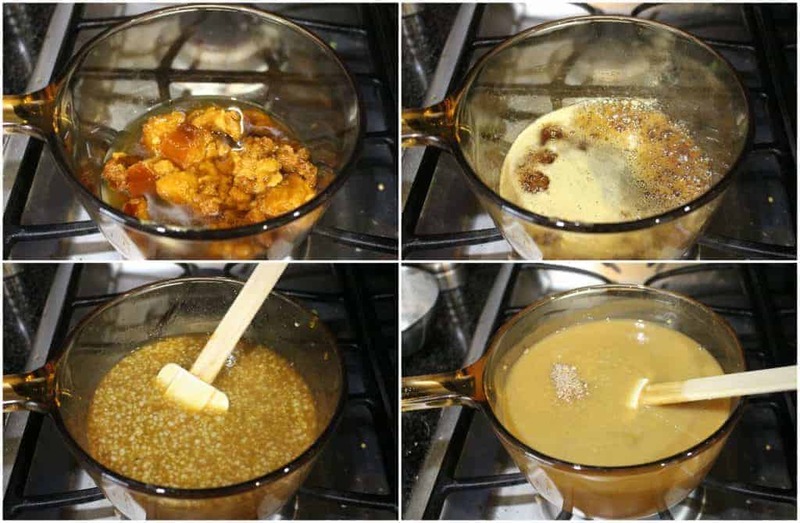 If you do not have access to jaggery, use brown sugar instead. I used instant pot to cook my steel cut oats. Ever since I have started using my Instant Pot, cooking has become sort of hands free for me. Steel cut oats needs a good 20 minutes on stove top with occasional stirring. In the IP, I don’t have to stand next to it and stir. Measure the steel cut and oats and add about 2 cups of water to it and cook until the oats are soft. I used Instant pot to cook my steel cut oats. I set it on manual for 6 minutes and it cooked perfectly. You could cook it on stove top as well. Make sure you stir it often to avoid sticking to the bottom of the pan. It takes a good 20 minutes to cook the steel cut oats. Add more water if needed. In a heavy bottom pan, measure the jaggery and add about a cup of water to it. Let it come to a boil and then strain the mixture to remove any impurities. Return the jaggery to the pan and bring it to a boil again. Mash the cooked oats and add it to the jaggery and mix well. The mixture will liquefy a bit. SImmer the flame and let it cook in the jaggery syrup for 5 to 7 minutes. Meanwhile, if using canned coconut milk, measure half a can of coconut milk and pour it in a separate bowl. Add about 1 cup of water to it. This becomes the thin coconut milk. The other half in the can will remain the thick milk. If using fresh coconut to remove milk, measure about 1/2 cup of thick milk and then use about 2 cups of thin milk. Add the thin coconut milk to the pan and let it simmer and come to a gentle boil. Let it cook for 5 to 7 minutes. Now add the thick coconut milk and bring it to gentle simmer. Do not boil too long after you add the thick milk as the mixture might curdle and separate. Heat the coconut oil in a small pan and roast the cashew nuts and the grated coconut. Add this along with cardamom powder to the payasam and mix well. Serve warm or at room temperature. That is a very tempting dessert. I also use coconut milk when I use jaggery. That’s an interesting payasam with oatmeal. It looks so creamy and delicious. Love the combo of coconut milk & jaggery!!! Anything cooked with oatmeal is my favourite. 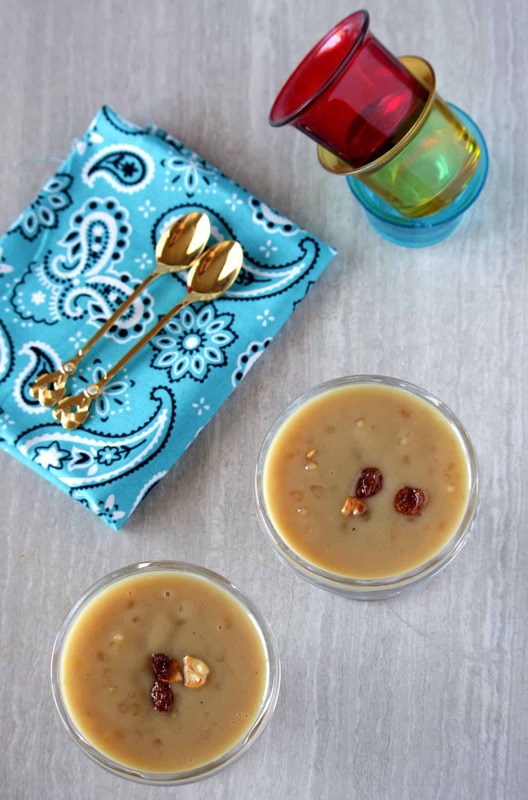 And love the way you have prepared this luscious kheer that too with coconut milk and jaggery. Am just in love with this kheer. 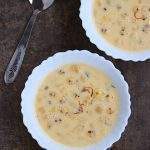 Im a kheer loves it sounds delicious and definitely gong to try .. Love the adding of adding coconut milk instead of regular milk!! 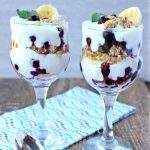 With the alphabet O, there are so many delicious oats recipes today. 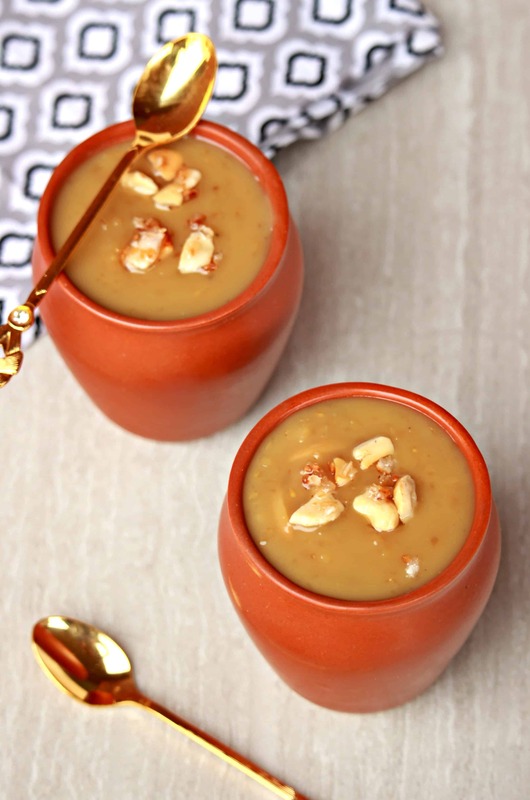 This payasam with oats and coconut milk looks super inviting Sandhya. 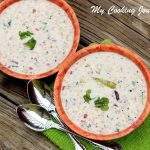 I have made oats kheer but making it with coconut milk is a great idea . 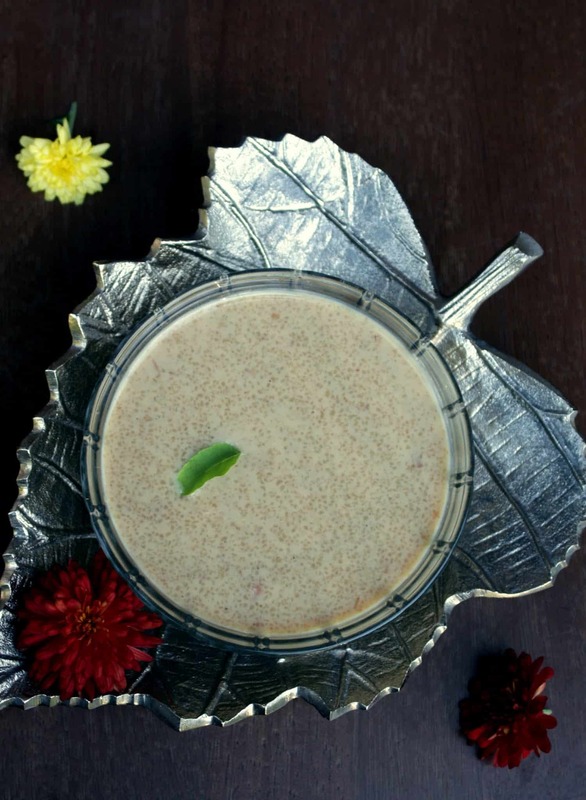 The kheer looks super with jaggery , it’s nutritious as well . Perfect pick for the alphabet ! Cooked steel cut oats has a different texture. I too love using coconut milk in the kheers I prepare. 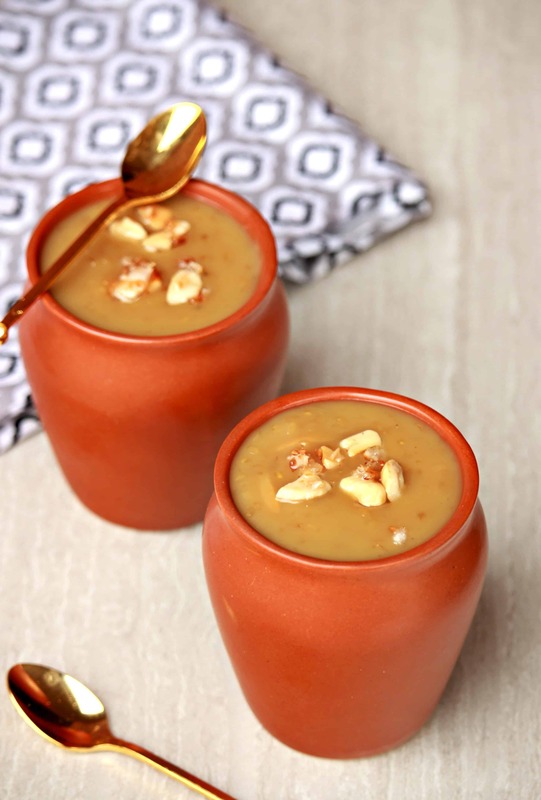 A lovely payasam full of coconut flavor. Oh gosh those pictures are killing Sandhya, so sinful and I love the colour and texture you got for the oats payasam..too good man! Wow, that kheer looks so creamy and absolutely delicious. I wouldn’t have guessed that you made it with steel cut oats just from the pics. This is such a nutritious dessert. Good one Sandhya. Wow sandhya, that looks yummm!!! coconut milk must have added a great flavor!! 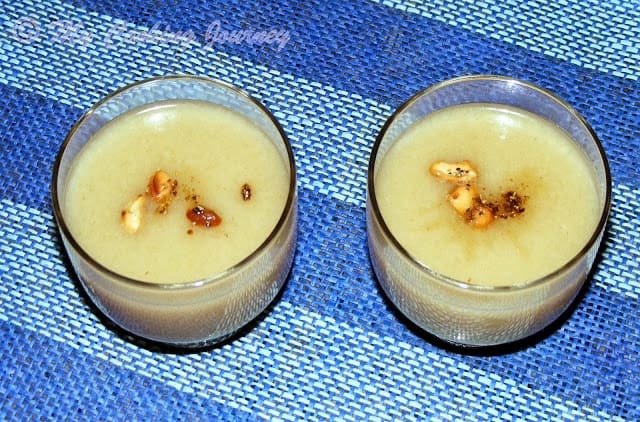 I always prefer coconut milk while making jaggery payasam! Looks perfect! 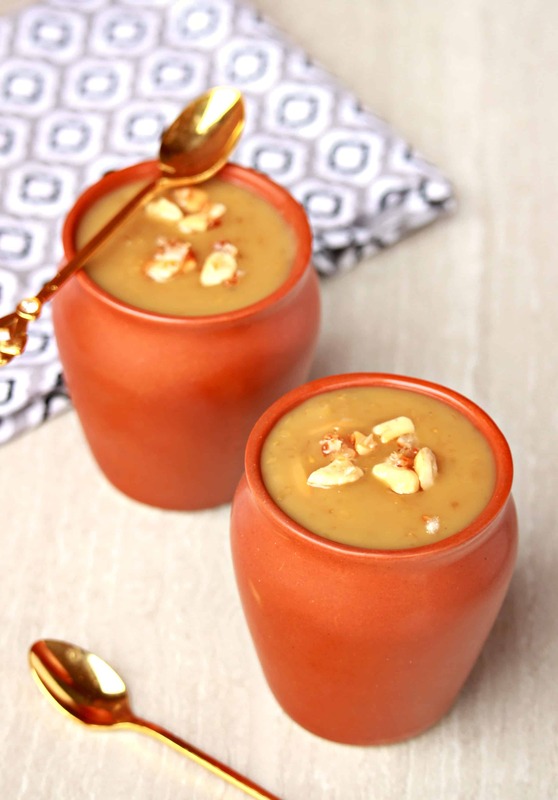 Omg the steel cut oats payasam with jaggery looks so sinful, I could not believe it was made with oats. It must have tasted amazing. Such a drool worthy payasam. That coconut milk and jaggery combo never fails to impress!! This glass of kheer looks so tempting and healthy. Perfect dish for health conscious guests.